Natural range Continental China, Korean Peninsula, and Japan. In Japan, Honshu (except Kanto District, Sendai Plain, and Shinano River basin), Shikoku, Kyushu, and several peripheral islents (Hirado, Tanegashima, etc.). Origin From Shizuoka to Hokkaido, and from mainland of Nagasaki Pref. to Tsushima. Date The first records in Hokkaido and Tsushima was in 1993 and 2003, respectively. Route Deliberate: Release of education material (Hokkaido). 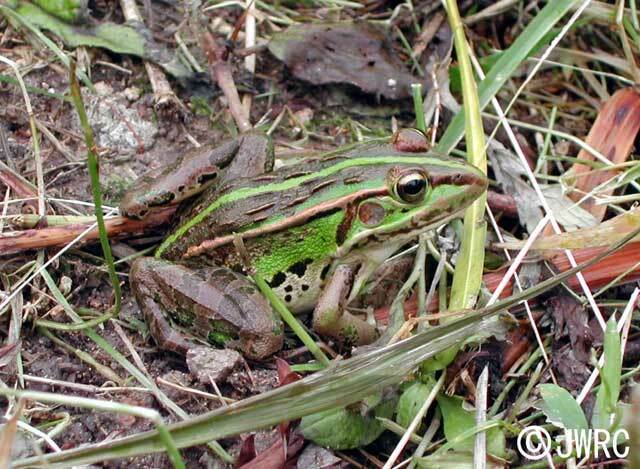 Impact In Kitahiroshima of Hokkaido, a native frog Hyla japonica tend to have small population size in rice fields with Rana nigromaculata. This implies an impact of competition and/or predation on native frogs. Predation on native invertebrates. There is a record of predation on a larva of Cybister japonicus. Affected organism: Native frogs (competition, predation). Terrestrial and aquatic invetebrates (predation). Introduced range in other countries Eastern Turkmenistan. An isolated population in Yunnan, continental China might be non-native. Frost et al. (1998-2010) Amphibian Species of the World (Accessed on 2012-6-25) http://research.amnh.org/herpetology/amphibia/.